Quantify Technology Holdings Limited (ASX:QFY) has announced a Board restructure as part of its broader plan to reposition itself in the intelligent buildings market. Marking its entry into a new phase of opportunity and growth, QFY has engaged two new independent directors to bolster its expertise as it looks to broaden its global footprint in the holistic intelligent buildings market — in particular, the aged care sector. Brett Savill brings 25 years of experience across strategy, innovation, regulation, business development and start-ups — with a particular focus on growth and acquisition. Currently based in Sydney, Savill has held senior operational roles in Australia as well as being a former PricewaterhouseCoopers Partner in the UK. He has worked, or advised, on more than 30 M&A transactions and is an experienced Non-Executive Director. The second appointee — who will be serving as interim Chairperson — is Lee Christensen, B.Juris., LLB, B. Comm., a commercial lawyer and former Senior Partner of Gadens with over 20 years of experience. Based in Western Australia, Christensen brings extensive experience in the areas of banking and finance, commercial and corporate law, with a focus on guidance and advice to listed companies on issues of meeting procedure and corporate governance. Alongside these major changes to QFY’s Board, the company is considering further appointments, and is progressing in its interview process for potential candidates with extensive business experience. It is expected that a further appointment, specifically that of independent Director and Chairperson, will be announced in the next fortnight. As part of the restructure, Aidan Montague has resigned as an executive director, effective immediately, to pursue other interests. QFY remains an early stage play and as such any investment decision should be made with caution and professional financial advice should be sought. 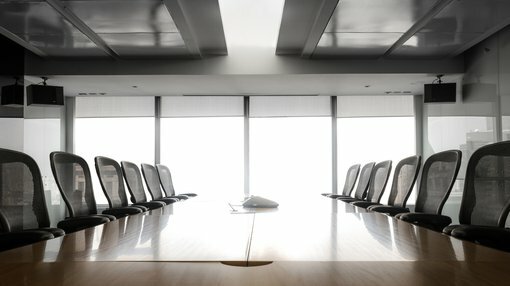 QFY’s Board changes follow close behind the news out of the company earlier this month, that it had signed an agreement with the US-based Electronic Caregiver LLC (ECL) for the development, sales, marketing, and distribution of a collaborative solution for the US and Australian markets. ECL offers safety and security options for the elderly and chronically ill in an effort to reduce medical complications, extend lifespan, lessen deaths, and support wellness — both through education as well as technology solutions. It gathers and analyses crucial scientific data that relates to risk assessments for the elderly and chronically ill who are either in institutional care or live independently. QFY has stated it is partnering with ECL to enhance what the company can offer its existing client portfolio, by utilising the specific data collection and control capabilities inherent within QFY’s tech platform.